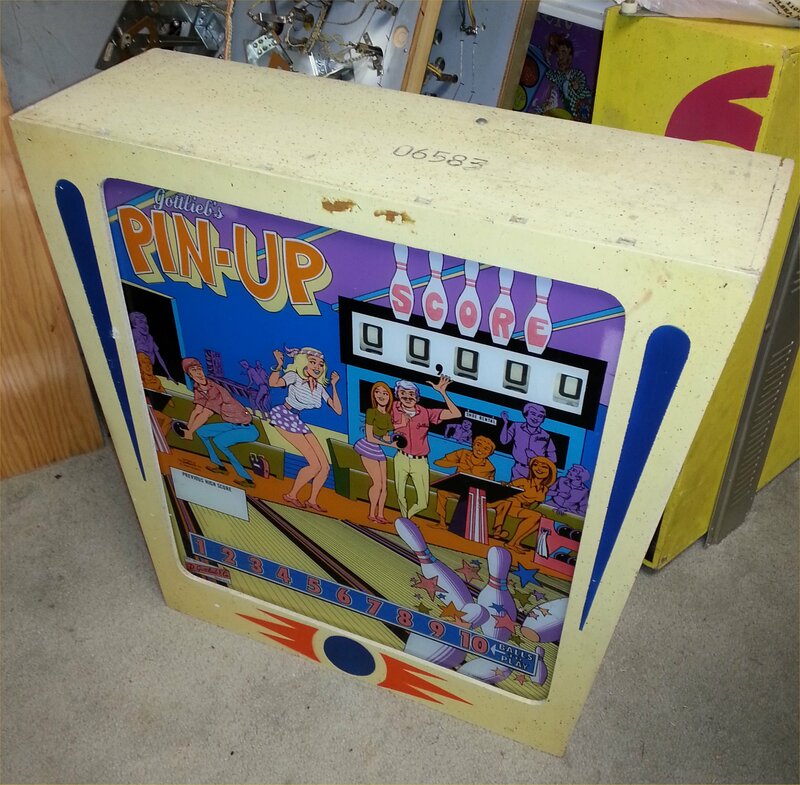 Today we are heading North to pick up a 1975 Gottlieb Pin-Up Pinball Machine. This machine has the same playfield as the popular King Pin game which was made in 1973. Pin-Up is an Add-a-ball version of King Pin. In certain states games that awarded free plays were illegal. Incredibly, this was considered gambling! So to get around these laws add-a-ball games would award extra balls instead of replays. Amazing that now the same state governments that outlawed 25 cent free games now run some of the biggest gambling operations in the nation (State Lotteries). So off we go. 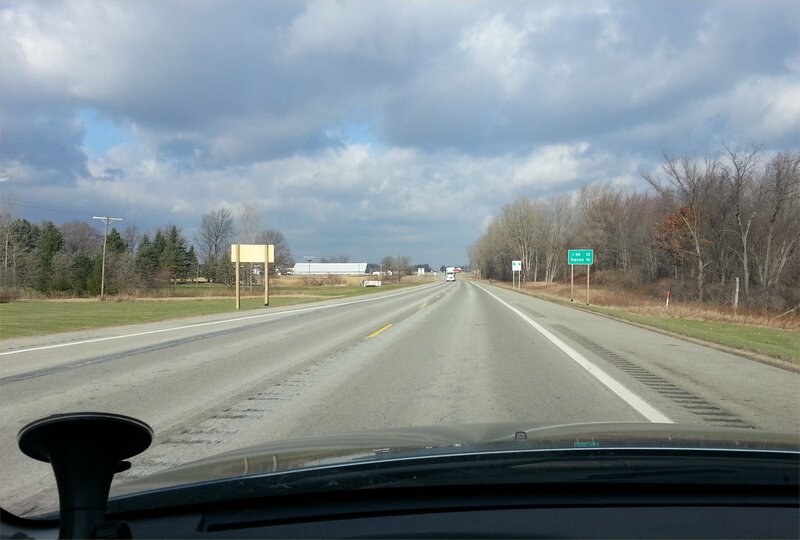 It is cool (mid 30s F) December day in Michigan but no snow. This game is located 40 miles North of our shop in Chelsea. 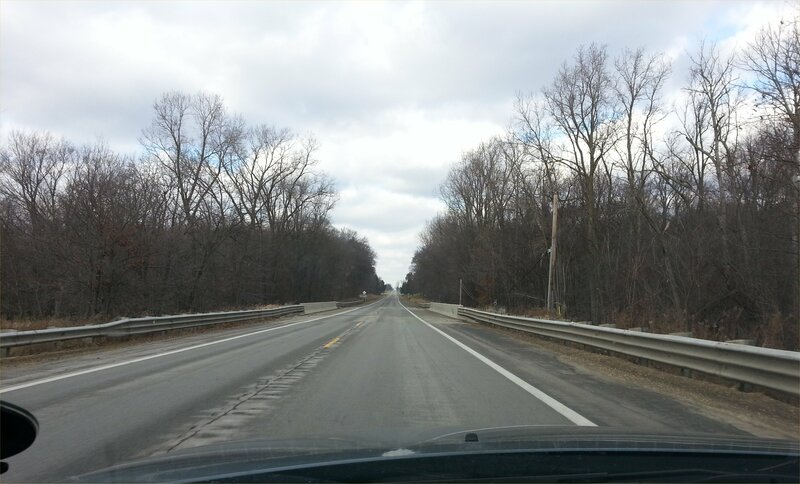 We head straight up Michigan Highway 52 (M-52) towards Owosso. This takes us accross some of the flat mid Michigan Farmland. 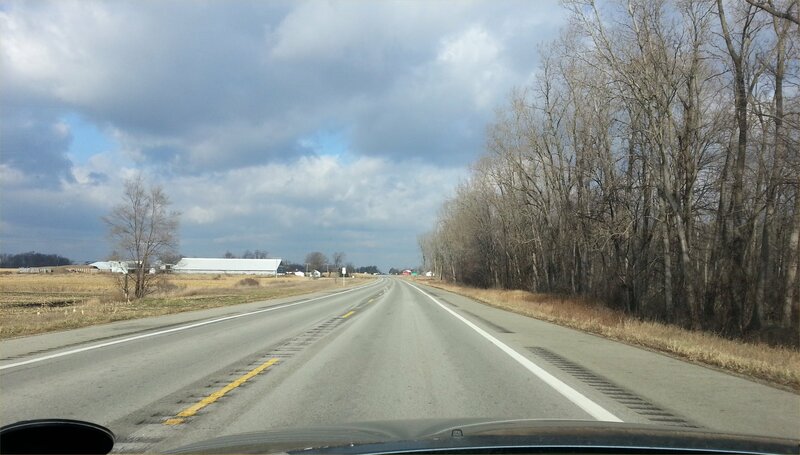 As we near our destination the road becomes a bit more rural looking. 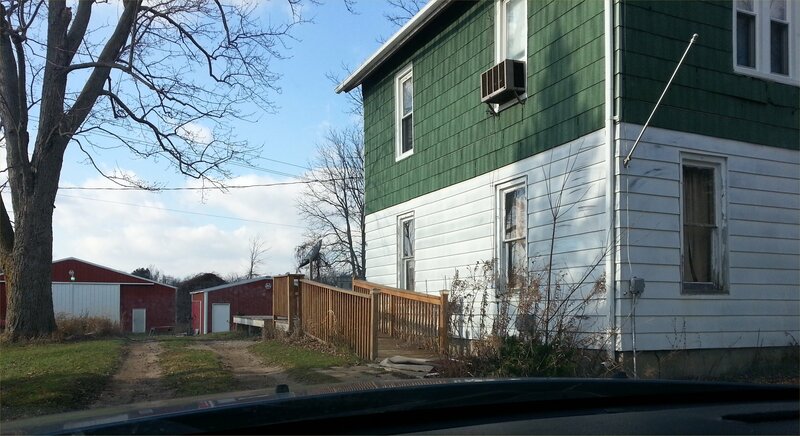 Here we are pulling up to the house. It is an older house that has several out buildings. Hmm, hope they didn’t leave the game out in the cold! Owner comes out and sure enough gives me some good news and bad news. Good news – the game is not in the basement so no basement stairs to battle. Bad news – It IS out in the pole barn. So we head out to take a look. As we are walking I ask how long he has had the game. He tells me that they got it a year ago for free when a friend of his moved out of state. I am thinking “yikes” that means it was in the unheated barn all last winter and last winter was a C.O.L.D. one with many nights -10 F and colder. The backglass is probably ruined. But when checking it out I amazed to see it looks just fine. Never can figure out why some glasses ink flakes off if you look at it wrong while others can stand being left out all winter. 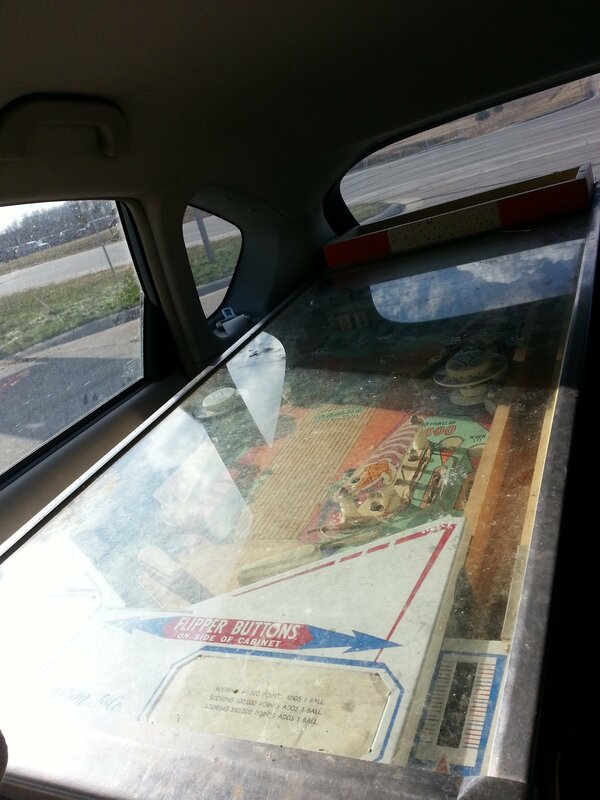 So we load the game up and head back South with a Gottlieb Pin-Up along for the ride.